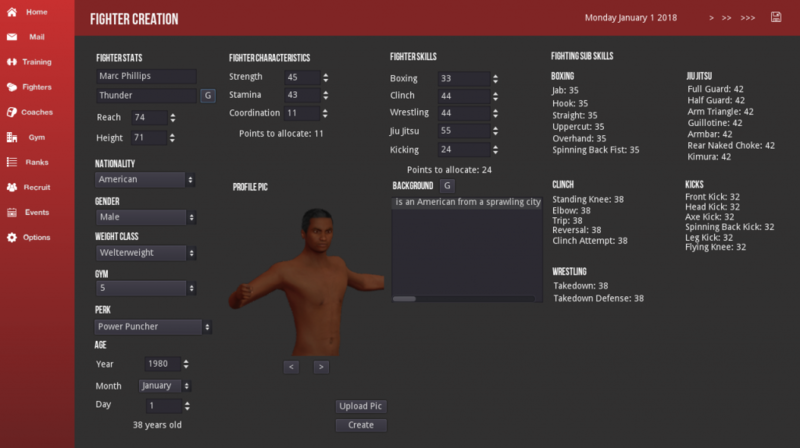 MMA Simulator will give you the chance to live out your dreams of being a MMA fighter or even running a gym of fighters chasing championships. Control every aspect of training down to characteristics, skills, and even specific strikes to build the best fighter. Expand your gym in size as well as equipment and coaching. See a fighter you think has potential? Recruit them. 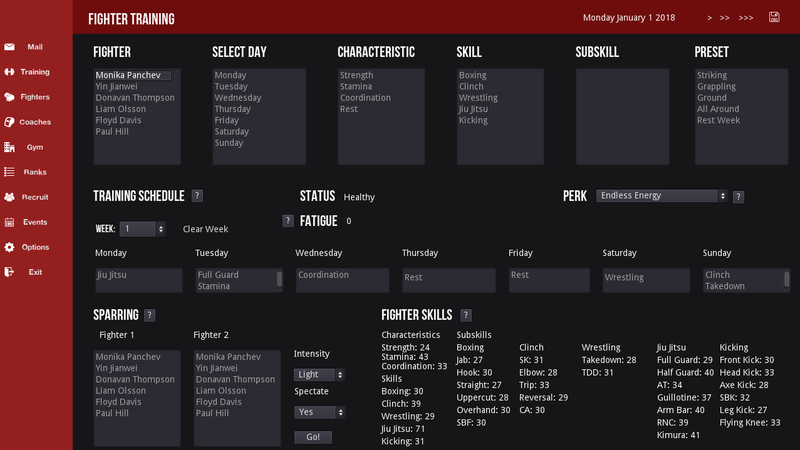 Build the stats and skills to define your fighter’s style. You can even change the profile picture of every fighter. 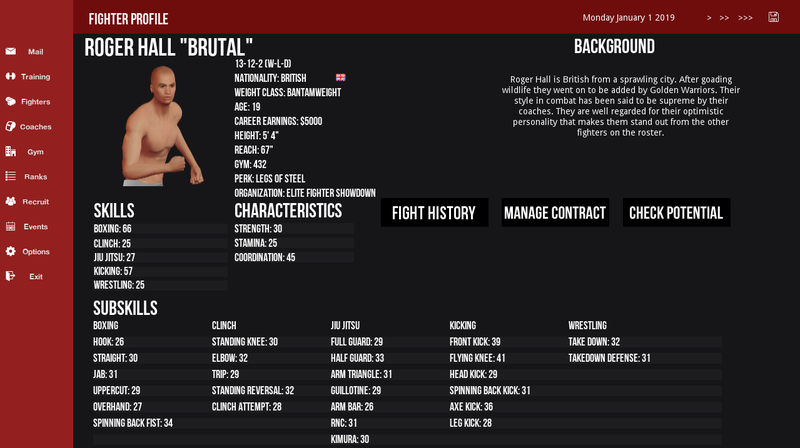 MMA Simulator uses a wide range of factors to determine how a fight plays out. You can even corner your fighters and yell out instructions! 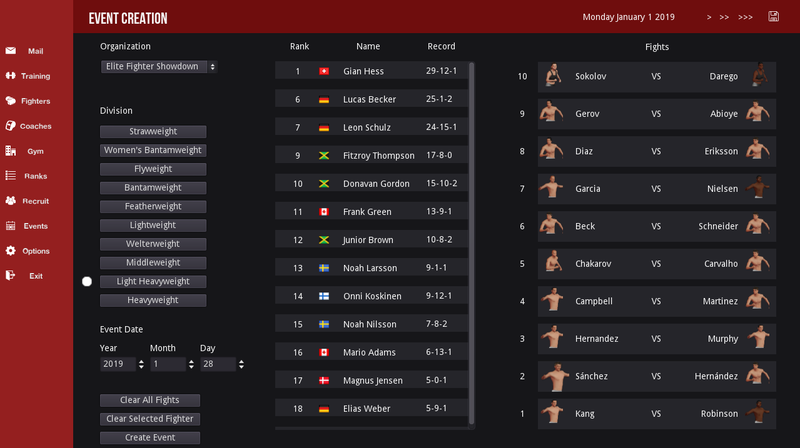 No other MMA simulation uses such detailed calculation. All of these can be trained individually to build the optimal fighter. Just be careful to avoid injuries during a fight camp! Want to run your own organization? You can even create your own events and super fights with every fighter in the game. Make the fights you want to see! No DLC whatsoever. MMA Simulator receives regular updates absolutely free. Twitter is a better way to get in touch though.